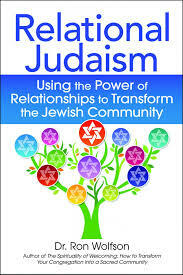 Dr. Ron Wolfson, author of “Relational Judaism,” will be at Temple Torah April 4-6. Last Sunday, I took my five-year-old daughter on a date. We went to see the Disney blockbuster, “Frozen.” The story is adapted from Hans Christian Anderson’s “The Snow Queen.” Disney’s retelling is full of action, warm sentiment—and terrific music. In fact, its theme song, “Let It Go” has been playing in my car every day this week, particularly when I’m driving Esther. Without spoiling the movie for those who might not yet have seen it, I think it’s fair to say that the prevalent ice and snow in the story are metaphors for coldness of heart. On the other hand, acts of kindness that show warmth of the heart can melt the largest icebergs and turn the most brutal winter into spring. When we show warmth towards another person, that warmth is contagious. A single warm-hearted act can spread throughout a community and even the world. As a synagogue community, this is a message that is especially relevant to us. Sharing kindness and warmth with others is what we’re all about as a community. Overcoming chill and bringing warmth and healing to a community is a central theme of this week’s Torah portion. In Parashat Tazria, there is much discussion of the special role of the ancient priesthood in diagnosing and purifying people afflicted with skin disease. In Hebrew, the disease was known as Tzaraat, apparently a complex variety of skin ailments. Since these diseases were assumed to be contagious, separation from the community was an important part of community protection. Toward the end of Chapter 13, the Torah states of the afflicted, badad, yeshev michutz laMahane moshavo. He shall dwell apart, his dwelling should be outside of the camp” (13:46). In analyzing why a victim of skin disease must dwell apart from the rest of the camp, it’s important to note that in the plain sense of the Bible, there is no moral significance to tzaraat. Modern Biblical scholarship has demonstrated that to the Biblical reader, a skin disease was a reminder of death, and the Torah emphasizes concentration on life in the presence of the Tabernacle. When someone overcomes their ailment, he or she may return to the Temple precincts. Rabbinic commentaries offer different interpretations. In rabbinic interpretation, there is a moral dimension to the skin diseases of this portion. One who suffers from tzaraat is a metzora, word that the rabbis of antiquity note is similar in sound to motzi shem ra—one who creates a bad name for someone else, who slanders or promotes ostracism of another human being. The Sages say, in essence, that people who cause others to be demeaned as “other” should themselves be shunned much the way the metzora is shunned in Leviticus for physical ailments. If we dig deeper into the Torah reading as well as the commentaries, we find that the portion is about much more than shunning those who don’t meet a certain communal norm. The Torah’s focus is on people with tzaraat healing so that they may return to the camp. Commentators, including Rabbi Harold Kushner, note that tzaraat is a condition to be cured and that the focus of the kohanim is to rehabilitate people so that they can reenter the sanctuary, not to shun or permanently exclude people. Similarly, the rabbis are more concerned with changing behavior than in ostracizing people who make mistakes. We are all imperfect, yet we all have the opportunity to bring healing to broken relationships and forge strong new relationships with others. This Shabbat, with Rabbi Zelermyer and many friends from Temple Emeth joining us at Temple Torah, we have the opportunity to celebrate the opportunity before us to come together in partnership as one community. B’shaah tovah, at a good and appropriate time, please God, this will be official within the next few months. Even before we officially join forces, we still must lay the groundwork for building strong relationships based on trust, mutual respect and recognition that we are all on the same team. We all want a strong, vibrant Jewish community that we will pass down to coming generations. The sacred task before us is rooted in the relationships that we forge with one another. “It’s not about branding, labels, logos, clever titles, websites, or smartphone apps. “It’s not even about institutions. 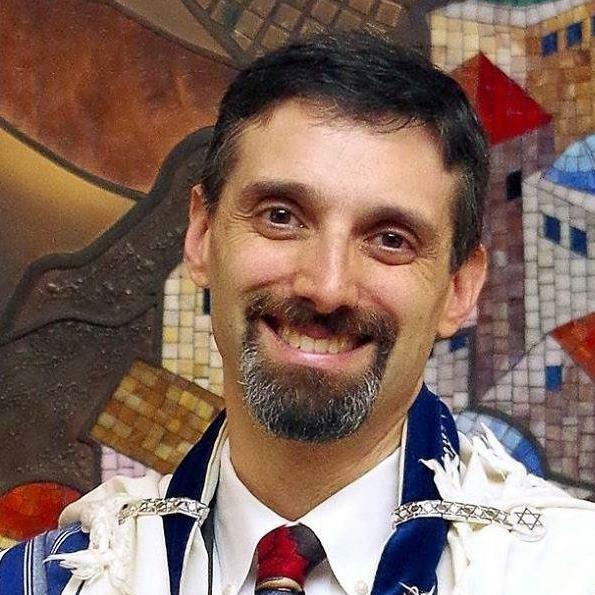 Dr. Wolfson will share with us in depth next week his vision of what a synagogue rooted in meaningful relationships looks like and how we might take steps to get there. I believe it is vital for as many members as possible to attend the various events and services at which he will be speaking. Reservations are still being taken for Friday night dinner next week with Dr. Wolfson. He will also be speaking next week at our morning service, after Kiddush lunch, and at an evening leadership workshop for our members. Next Sunday morning he will teach about bring Relational Judaism into our homes to help us create meaningful Passover seders. Please consult the bulletin and Temple Torah website for all the times. More importantly, just come. May God grant us the strength to seek out new opportunities to create warm, meaningful relationships that will be the foundation of our Jewish community for years to come.